Gunner is pick male from our very first Harvey x Bodee breeding. Not only is he stunningly beautiful, he is a fantastic working dog both on the farm and in the field. 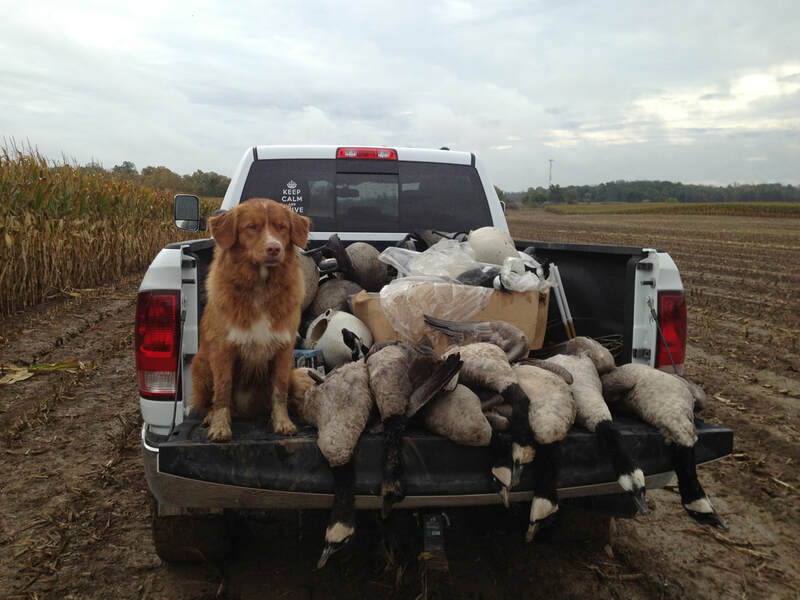 Gunner exemplifies the true original purpose of the breed. Farm dog, hunting dog and family companion. Gunner excels at all these things. Soon we hope to be adding "show dog" dog to the list. When hunting season comes around, Gunner is at his best. He is an alert, obedient and natural retriever. He will jump in anyone's truck to go for a hunting trip. He is biddable and will take directions willingly from anyone. We are very excited to have Gunner join our showdog and breeding family. Gunner's owner Grant McMillan is very proud of him. We are pleased to be co-owners and have the chance to show off this magnificent dog. Gunner enjoys many pastimes. 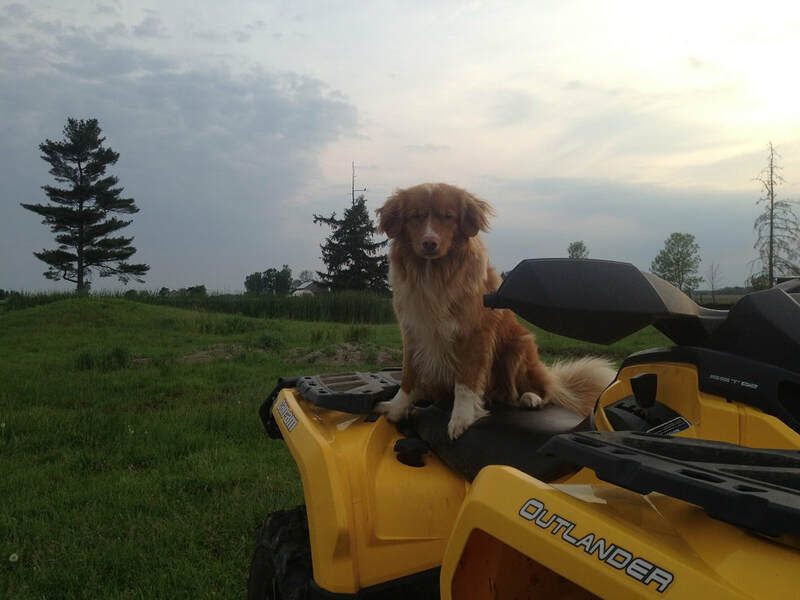 He loves to go hunting with anyone who will take him, he likes to shed hunt and will run with the Quad for hours! Even though Gunner is an active dog, he is very sensible and is a wonderful companion. He gets along well with other dogs, people and kids.